The Beerwah Golf Club is an 18 hole, par 72 championship course which measures 6023 metres in length and is arguably one of the best golf courses on the Sunshine Coast. Conveniently located just 10 minutes from the coast and many Sunshine Coast attractions, the Beerwah Golf Club is an easily accessible course during your stay. Nestled at the foothills of the Glass House Mountains, this beautiful golf club overlooks the stunning hill ranges and is surrounded by lush greenery. This course is mainly level, which makes it very walkable for all ages and abilities. 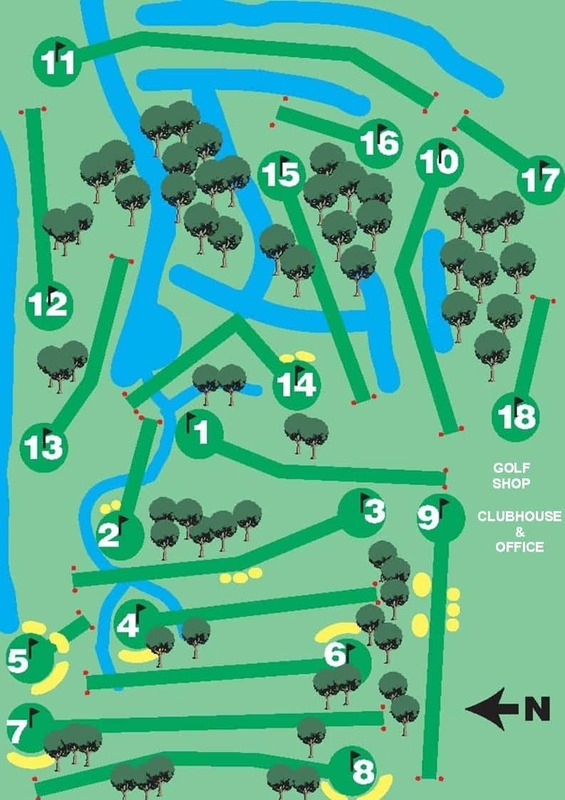 During play, you will come across many birds and native species as the course borders on a State Forest. Looking back from some of the greens, you will have spectacular views of Mount Beerwah, located within the Glass House Mountains. Lessons are available through the Pro Shop as is the hire of clubs, bags and buggies, and if you would prefer not to walk the course, motorised carts are also available for hire. The Beerwah Golf Club also has a clubhouse which is able to host functions for between 40-120 guests. If you are looking for accommodation in Beerwah or in the surrounding Sunshine Coast region, click the link below for the best deals.